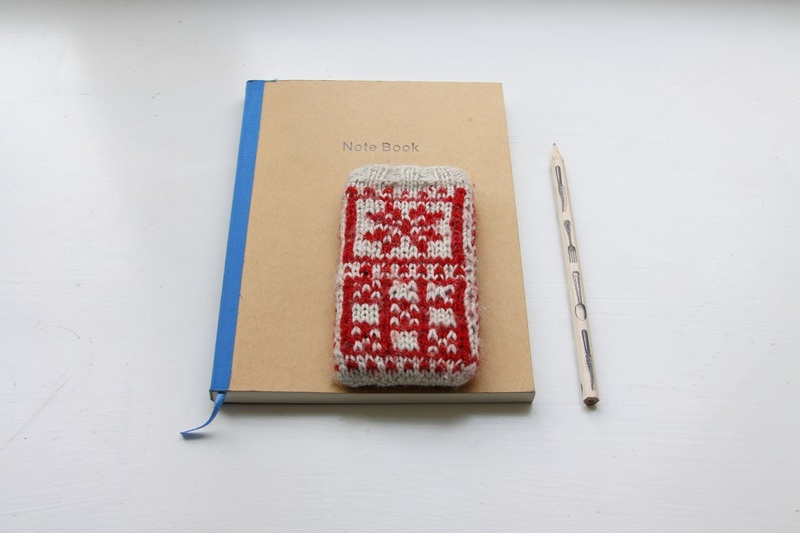 telefontrekk | A creative life tangled up in lovely yarn! High Tech meets Low Tech. Last weekend my knitting and I was on national TV in Norway. The story was my knitting book “Knit Nordic” that started it’s life in the United Kingdom before it came home to Norway. During the shooting for the pies I was knitting a smart phone sock for my iPhone. The original pattern in the book has squares with four different motifs in each square, but since I had a few other things to focus on I made the same motif in all the squares! My one year old smart phone cosy. It needs a trip in the washing machine. The cameraman got the one I made during the filming and I just sent off one to the reporter! They actually liked them! As I have made a few different varieties lately I wanted to share them with you. There are endless possibilities to make your smart phone as personal as it can be. I really love to pull my modern high tech sleek iPhone 5 out of a low tech traditional patterned little cosy! 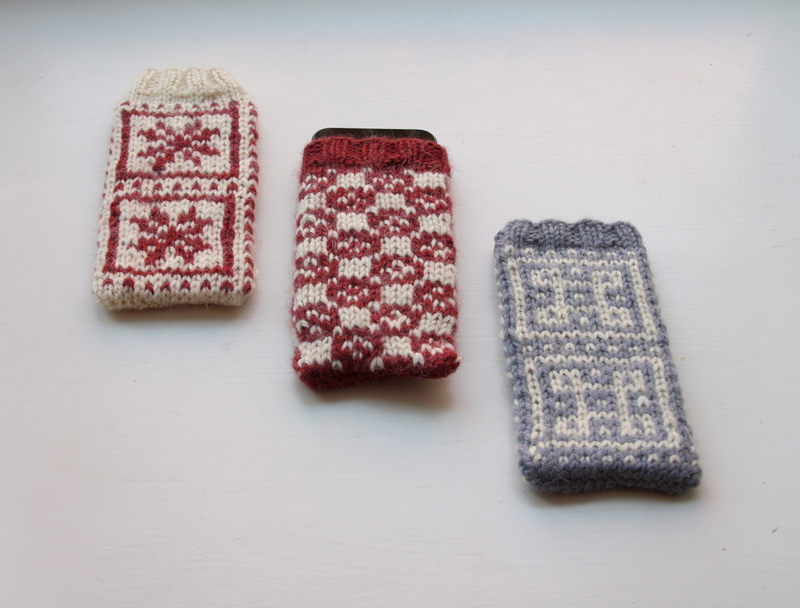 Three different varieties of smart phone cosies. 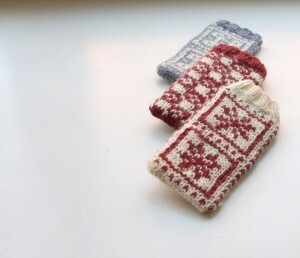 The outer two are based on the pattern in “Knit Nordic“. The middle one is a new pattern. If you like the middle one the pattern is available on Ravelry and Etsy. It is inspired by traditional Faeroe Islands knitting. The pattern is often used in women’s sweaters.